Follow Sarah Casewit’s footsteps on a deeply personal journey through the country she has called home for more than 20 years, discovering Morocco from a unique insider’s perspective. For those traveling to Morocco for the first time, this intimate journey will pull back the veil of a culture that can be as beautiful as it is overwhelming at first sight; for those who are well-versed in the captivating ways of this land, prepare to renew your curiosity and delve into a side of Morocco known only to locals, often hiding behind closed doors and overlooked by fleeting travelers. Tracing back the steps of Casewit’s most memorable experiences growing up in Morocco, this trip follows the journey of her childhood, starting in the medieval city of Fez, where along with her three brothers, Sarah attended traditional Moroccan schools, learning Arabic before uttering her first words in English. After learning your ways through the winding medina of Fez, take the road of the Sahara to spend a night with Sahrawis, becoming acquainted with the nomadic ways of the desert. Following the traditional caravans, arrive in the secluded valley of Skoura, an oasis embedded between the High Atlas and the Sahara, dotted with adobe kasbahs and natural palm-shaded streams. Enjoy a day in the High Atlas Mountains, a cherished getaway where Casewit and her family would spend their summers. End the journey in the exhilarating city of Marrakesh, a place of mystical tales and hidden treasures waiting to be discovered with all the senses. Stay at traditional riads and private properties especially hand-picked in each destination. Go beyond the stall-fronts and meet with local artisans, scholars, artists, all personal contacts of Casewit. Partake in a series of uniquely crafted experiences designed to welcome you into the Morocco of locals, garnering a spiritual affinity for this magical country and people. Sarah was born and raised in Morocco, a lifestyle that cultivated and continues to nurture her deep sense of affinity towards the traditional world. She lived in Marrakesh, Fez and Rabat for over 20 years and is fluent in Arabic, French and Spanish. As a university student, she engaged in extensive studies of comparative religions, which she complemented with travel and research in North Africa, Southeast Asia and the Middle East. Her immersion in the spiritual dimension of these distinct cultures and studying the religious experiences of pilgrims led Sarah to value the transformative power of travel. Sarah has been working in the travel industry for over 8 years and has led group trips to different parts of the world, including Argentina, Brazil, Chile, Ethiopia, Morocco, Mali and India. The medieval crown-jewel of Morocco dating back to the 700s, Fez is known for its endless network of winding alleyways, buzzing markets and exquisite architectural wonders. Stay at a refurbished traditional home (riad) in the old town. Meet an artist at his workshop to learn about the intricacies of Moroccan traditional crafts using leather and brass. Join a local designer on an insider's tour of the most impressive buildings in the medina. Enjoy an intimate evening at a family home with dinner and a live Sufi musical performance to engage with Islamic Spirituality. Spend the night under the stars at a desert camp to experience the sheer dramatic impact of the Sahara, with its soaring dunes and distinct cultural identity among the Bedouin people. Take a road trip of a lifetime from Fez to the Sahara, taking in the ever-changing landscapes of the Atlas and the Ziz Plateau. Ride along the tips of dunes to reach your desert camp and enjoy a night of storytelling under the stars of the desert with a delicious dinner around a fire pit. Rise early to catch a spectacular sunrise and learn the keys to Sufi meditation with your tour leader, followed by a tea ceremony. Tucked in the Ouarzazate region of southern Morocco is the paradisiacal oasis of Skoura. The valley's adobe villages are fringed with palm groves, orchards and wheat fields. Hike through the oasis with local guides up to stunning viewpoints and experience the strikingly different local culture. Visit the local market, enjoy picnic lunches and take a tour of the kasbah’s that dot Skoura. 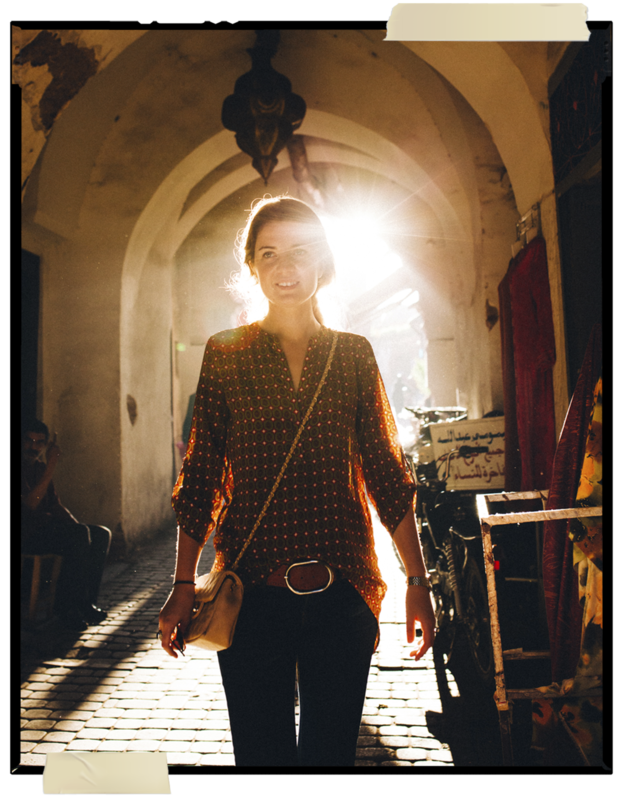 While staying at a private riad exclusively for your group, explore Sarah Casewit's city of birth: the Red City. 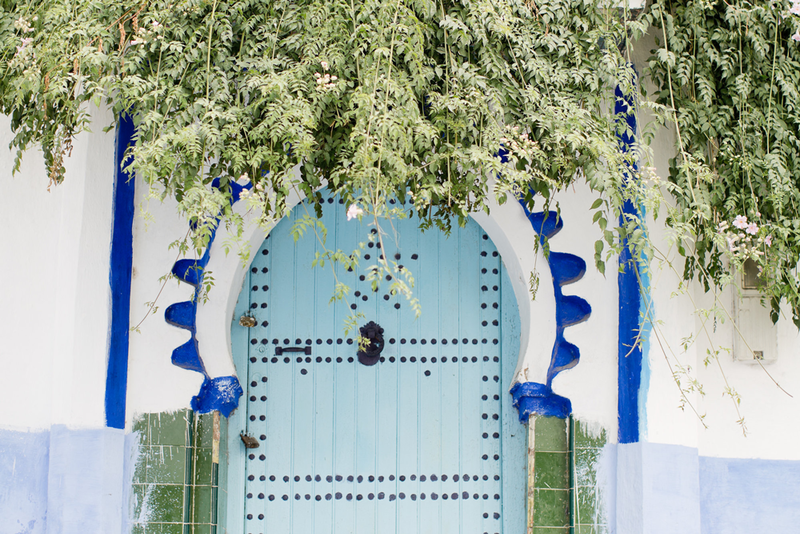 Discover the unique art of bartering and bargaining for goods in the markets, visit the secluded gardens of Majorelle and Jardin Secret. 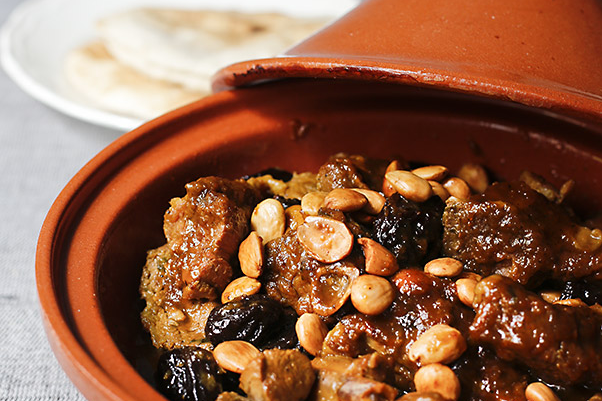 Learn to prepare Moroccan dishes at a private cooking class. Meet with a local artist in his atelier for an introduction to Moroccan contemporary art. Take a day trip to enjoy the tranquility of the Ourika Valley and the High Atlas Mountains. Spend time with Berbers to gain a different perspective on Moroccan culture and society. Go on a spectacular hike through the Atlas Mountains for sweeping views of the mountain range and valleys below. Have lunch at a lodge surrounded by breathtaking views of North Africa's highest peak. To guarantee your reservation, a 40% deposit of $1,990 per person is required to secure your spot. This rate is based on double occupancy. Final payment is due no later than 90 days prior to departure. All prices are in USD and payments can be made via credit card or wire transfer. Scroll down to book this journey. If you wish to have a single room on this journey, the single supplement fee is $600. If you are willing to share accommodations, we will match you with a roommate if one is available. If we cannot match you with a roommate, the forced single supplement would apply at a lower single occupancy fee of $300. If you decide to cancel your reservation +91 days prior to the trip departure: 50% of the deposit will be refunded. If you decide to cancel your reservation 90-60 days prior to the trip departure: the balance is refunded and the deposit is retained. If a cancelation is made 59 - 0 days prior to the trip departure: both the deposit and the balance are retained. All accommodations; a Naya Traveler tour leader (co-founder Sarah Casewit); private transport throughout the trip with back-up vehicle for luggage; local guides in each destination; daily activities, exclusive experiences and insider access with specialist guides and experts; all entrance fees for monuments and parks listed in the itinerary; all breakfasts and some lunches/dinners; water & healthy snacks on a daily basis; all current applicable tourism taxes; services of a team behind the scenes in Morocco and at our office monitoring the trip. Price does not include airfare, some meals, travel insurance and tips. Recommended arrival on June 3, 2019 at Casablanca Airport (CMN) or Fes Airport (FEZ) in the morning. Recommended departure on June 13, 2019 from Casablanca Airport (CMN) or Marrakesh Airport (RAK) in the afternoon. Please do not purchase your international flights for this trip until we confirm the trip to you in writing. Once your tickets have been booked, please send us a copy of your airline schedule. I have read and agreed to Naya Traveler's terms & conditions for this trip. Thank you for signing up for the Founder-Led Trip to Morocco. We will be in touch shortly to begin your booking process. If you’d like to speak to one of our travel experts about this journey, please fill out the form below and we will be in touch with you shortly.